In this construction article, you will learn how to work out bricks in 1 brass. Therefore, 1 brass = 100/35.315 = 2.83 cubic meter (it is proved). 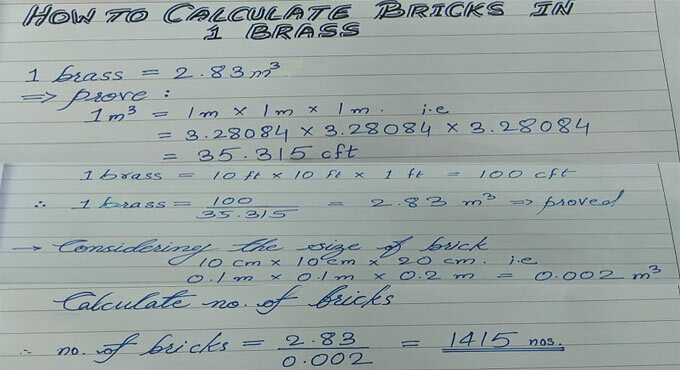 1 brass / size of brick = 2.83 / 0.002 = 1415 numbers.